﻿ Best Price on Moulin Sur Mer in Port Au Prince + Reviews! This colonial-style beach resort is in Montrouis, along the clear turquoise waters of La Cote des Arcadins. It features extensive, well groomed gardens, an enormous outdoor swimming pool, a restaurant, bars and free Wi-Fi. Moulin Sur Mer has comfortable rooms with superb garden views, as well as a private bathroom with a shower and toilet. All rooms include air conditioning, a free safe and a wardrobe. Some rooms feature TV and a mini-bar. Moulin Sur Mer features a marina and a PADI diving center that offer excursions to to beautiful spots in the area or nearby islands and PADI diving courses. The property has an on-site restaurant that serves local and international cuisine. It is open for breakfast, lunch and dinner. The resort includes racquetball, beach volleyball, basketball and tennis courts. The property provides free kayaks and rents scuba diving equipment for guests who want to explore the beautiful coral reefs. 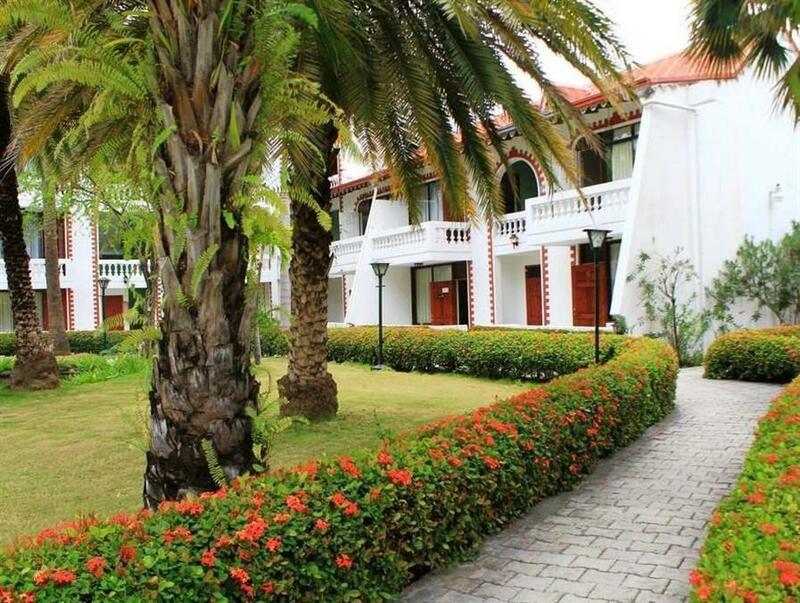 Port Au Prince International Airport is a 1-hour drive from this property. Please note that packed lunch and dinner costs USD 50, taxes included. Single meals are à la Carte. Please note that different policies may apply for guests booking over 5 rooms. Please contact the property for more details. Guests are required to show a photo ID and credit card upon check-in. Please note that all Special Requests are subject to availability and additional charges may apply. the place is ok. The set up of the grounds of a bit weird, and the infrastructure is a bit crumbly, but its always nice to be at the beach!